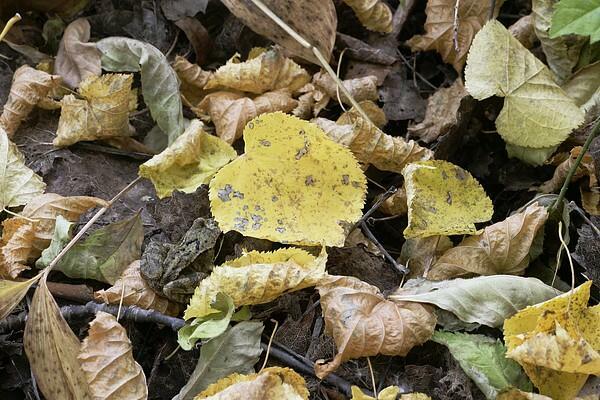 The autumn weather is warm and the common Estonian frogs move around quite actively. Those above can be encountered nearly everywhere in Estonia. 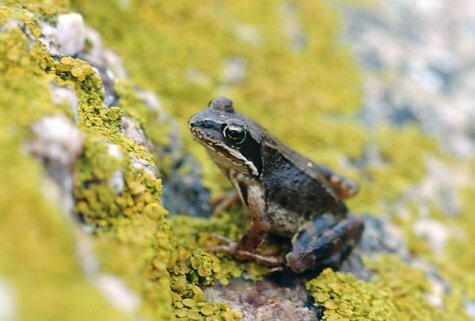 This year suited frogs well, and Estonia is actually a good habitat for amphibians due to its varying nature. But all the same the half-year of active life is coming to an end. The common frog is classed among our brown frogs and is comparatively big – the length of a fully-grown individual can be up to ten centimetres. This year’s generation of common frogs is still small and playful. On their menu are: beetles and two-wings (flies and mosquitoes), Oroptera (grasshoppers and leafhoppers), and slugs too. 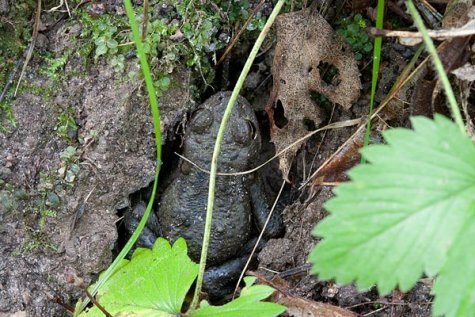 The winter hibernation that starts in October is spent in large groups at the bottom of water bodies, buried in the mud – never mind the Estonian name rohukonn, grass frog. For wintering places pit wells, lakes, ponds and the mouths of rivers and creeks and ditches are suitable. A premise is that the water doesn’t freeze to the bottom, and there should be some two-three degrees of warmth in the water. The moor frog differs from the common frog by its flecked belly, with a dark marbled pattern. Even as fully grown the moor frog is about a third smaller than the common frog. Colour brown or greyish, with darker patches or dots. For food beetles are hunted, less often grasshoppers, spiders, bugs, all kinds of caterpillars. The winter is spent on land and singly. Every frog finds a suitable place for itself, the young presumably guided by instincts. It can be the burrows of rodents, holes filled with leaves, brushwood heaps ... A part of the mature frogs have already installed themselves in the wintering places, the young still move around outside a couple of weeks. Frogs gathering to wintering places. Toad at burrow opening. The common toad is quite common everywhere, wintering and spending most of its time on land except during spawning. Uniformly brown-coloured, belly natural white or yellowish. The adult female frogs are nearly half as much bigger than the male frogs or well up to ten centimetres long. In the warmer climate of Saaremaa toads grow significantly larger. Like the other frogs they use beetles, and insects as well as molluscs for food. The winter is spent dug down into soil.